Note: Every year we notice students need more hands-on experiences in uncovering the organization of our base ten system. We also notice that they seem fragile with subtraction. 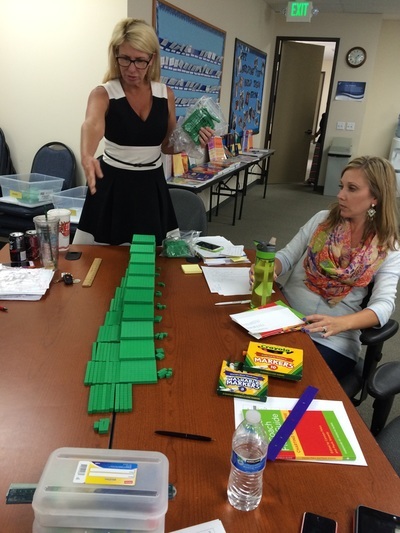 Our third grade team is building in more time in 2016-2017 for students to work extensively with addition and subtraction attempting. However, it would be a good idea for you to spend some time this year on the 4th grade Common Core standards specific to procedural fluency with addition and subtraction. In addition to the experiences in this unit, focusing on subtraction strategies during your Number Talks would be a great thing to do. 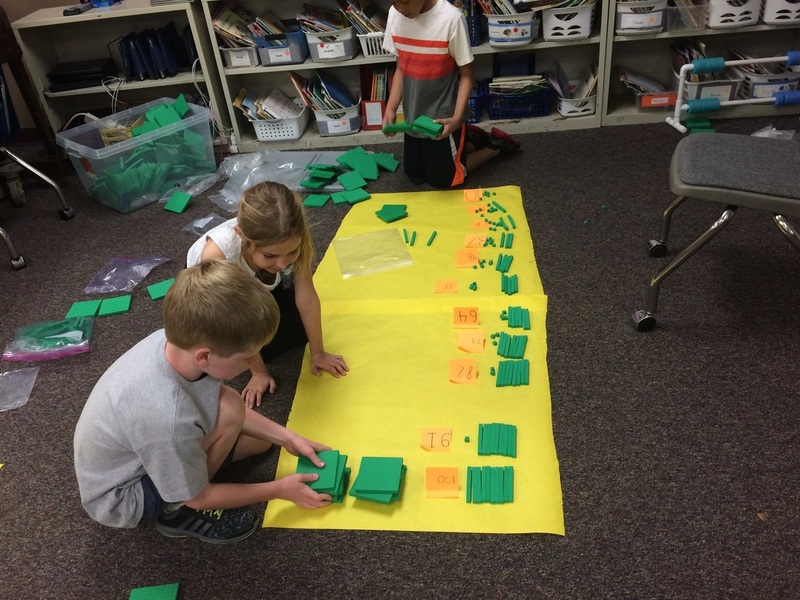 Students in third grade have used base ten blocks and drawings, the open number line, and a variety of strategies to decompose numbers and subtract in ways that make sense. 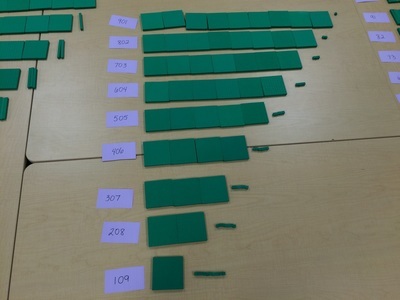 Some of the students also use addition for solving subtraction problems. You can go to the Math Fact Fluency tab on the main Curriculum and Assessment page to get some ideas for an effective system. Investigation 1: How Much is 1,000? 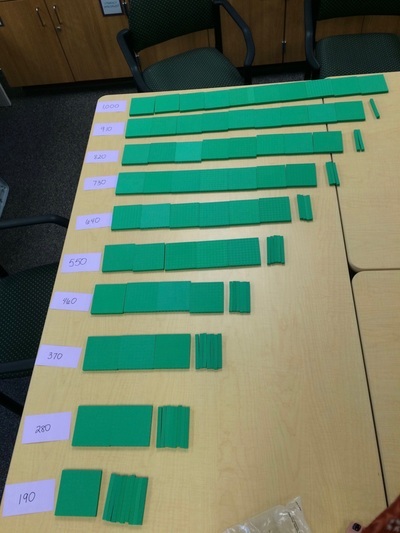 Differentiation Section (p. 27): On-Level - Round and Compare! Note: This investigation has a lot of Math Journal pages. Let's discuss what to do about that. Digital Resource: They have a nice digital resource in Think Central. In the Digital Resources Section, choose Base 10 and then click Add. 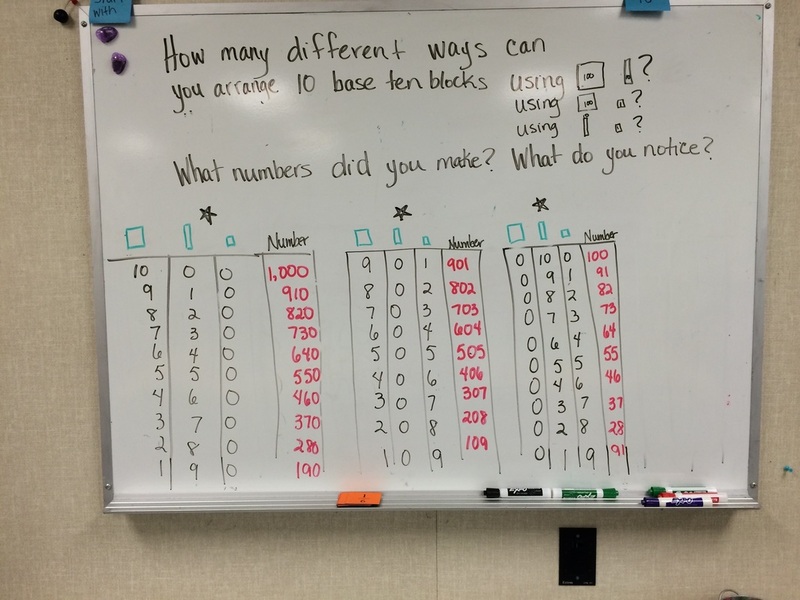 Exploring the geometric patterns of the base 10 system using Base Ten Blocks. 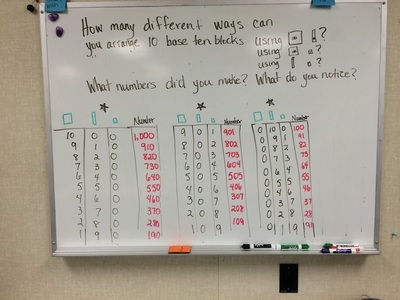 How many different ways can you arrange ten Base 10 Blocks . . .
​How might you organize your work so you can find structure? What numbers did you make? Differentiated Instruction, p. 43 has some adaptable activities - could make them into games. We should be do something interesting with the Sports Connection on TE page 44. It's about the seating capacity of football stadiums. With the controversial Chargers stadium, let's discuss how to put together an engaging math research project into stadium seating capacities and perhaps even ticket sales earning potential of each stadium. Session 3.2: How Much Is 10,000? English: M26 City to City: How Many Miles? Session 4.4: Do I Add or Subtract? 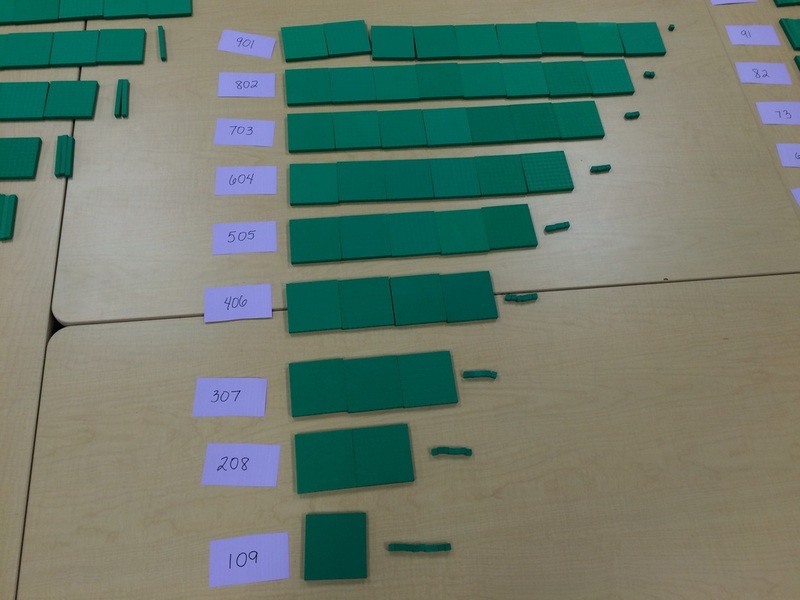 Lessons 9 - 14 explore different methods of subtraction with a lot of practice using the U.S. traditional algorithm. It would be worth pulling some of the practice pages. Pay attention to the Home School Activities. They are all about distances and might connect nicely with Investigations' Thousands of Miles in Investigation 3.